The master bedroom is spacious with two full beds, television, and plenty of dresser drawer and closet space. This is a perfect location for a girl or guy's getaway! The bathroom has also been updated and is meticulously clean. Linens, extra towels and pillows are provided for the comfort of our guests. Enjoy free WiFi. Please note there is no sleeper sofa. Been coming to beautiful Madeira Beach for 40+ years and consider it our home away from home. This particular apartment is very nice, however we found the beds extremely uncomfortable and as a result woke with aches and pains each morning. Also the bedroom remains half-lit throughout the night, as the outdoor corridor light shines through the blinds, making it difficult to sleep - curtains required. As for the TV and internet service, both were extremely poor. Another great week at a John's Pass Sunhost property. 27 years running and we keep coming back to our favorite beach. We had a great time at Beach Place Condos! We loved the location on the beach. It was great to be across the street from the shops and restaurants at John's Pass. Would definitely return! We loved the condo that we stayed in. The only problem was the beds were not comfortable at all and really squeaky. It would've also been really nice to have a couple of chairs and an umbrella in the unit. We flew so we were not able to bring our own and had to purchase them and then of course leave them behind. 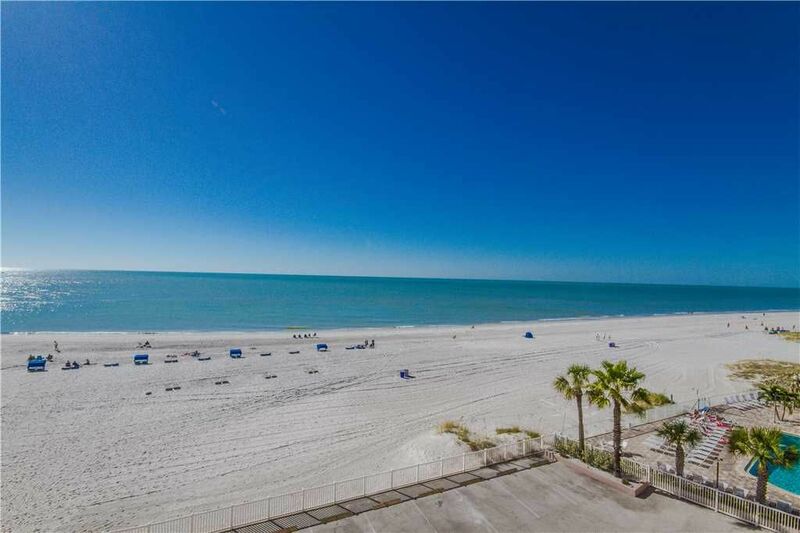 We live Madeira Beach - it is one of our favorite vacation spots. Overall my experience was good. The biggest downfall was the beds and no beach items. Both beds were very uncomfortable and every morning I woke up with a stiff back and neck. I flew to Florida so I was not able to pack a beach chair, umbrella....etc. You figure when renting a condo on the ocean those items would come with the room. Instead I paid $60 so I could have them.